Jacksonville’s own critically acclaimed professional modern dance company returns to present its 7th annual dance concert. This year’s concert will feature choreography by guest artist and world famous choreographer and performer, Jay Jackson (best known for his drag persona, Laganja Estranja on season six of VH1’s RuPaul’s Drag Race) repertory pieces by Creative Director, Tiffany S. Santeiro, and newly developed work by Artistic Director Rebecca R. Levy, created in collaboration with NYC/St. Augustine composer Joanne Maffia. 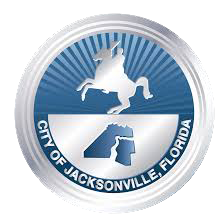 This year’s concert is made possible in part by the Cultural Council of Greater Jacksonville, Florida State Department Division of Cultural Affairs, and with generous support from the Florida Theatre.